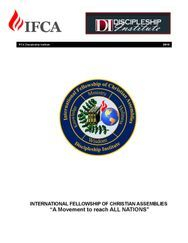 The IFCA-DI catalog contains information about the institute, its background, programs, and instructors. 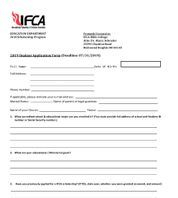 If you are interested in applying to the institute, download and fill-out an application. Scholarship monies are available for students seeking training with the Institute. 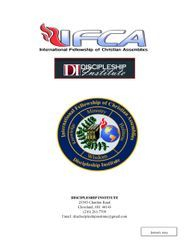 To apply, download the scholarship application and pastoral reference form. Submit both forms to apply for the scholarship. Scholarships are not renewable each year of the students program. You must apply for scholarship monies yearly to receive those funds.